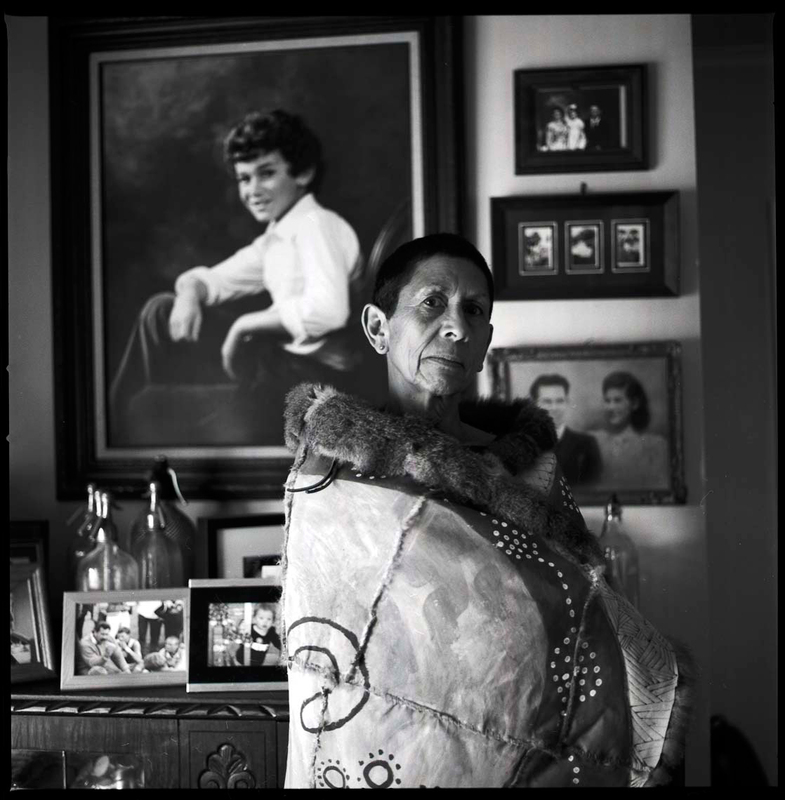 Home (inside): Wemba Wemba Elder Fay Muir, silver gelatin print, 60x60cm, Koorie Heritage Trust, 2011 Fay Muir works with the Victorian Aboriginal Corporation for Languages teaching juveniles in detention. She was the lead artist for the Wemba Wemba cloak and wore it as the opening ceremony of the 2006 Melbourne Commonwealth Games. Aunty Fay worked under the cultural guidance of Boonwurrung Elder Carolyn Briggs. She lives in Geelong.